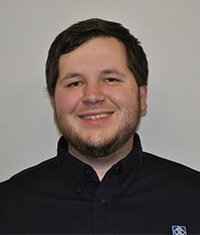 Mr. Zachary Mitchell is AAA Environmental’s new team member whose talents add to AAA’s diverse team's diverse. Mr. Mitchell has four years of experience in the environmental health and safety field, which includes employment with The North Carolina State Department of Health Hazards Control Unit’s Asbestos and Lead-based Paint Section. Mr. Mitchell’s primary role at AAA is an instructor for the asbestos, lead-based paint, indoor air quality, and OSHA courses. He also retains the role of field consultant and inspector within the same categories. With Mr. Mitchell’s strong knowledge of environmental exposures and the use of environmental exposure equipment, this allows AAA to provide respiratory protection programs to our clients. Mr. Mitchell is a graduate of Western Carolina University.